First-hand school uniform can be purchased from John Lewis (on-line only) and PE kit from Alleycatz (on-line only). Here are the links to the online shops. Regular second-hand uniform sales are held at Mayville High School, and considerable savings can be made using this facility. Dates and times of the sales are displayed around the school buildings and can also be obtained from the office. The uniform room is situated on the first floor of the Junior School. Space is limited but on Parents’ Evening a larger sale takes place in this and other rooms on the first floor. Parents who wish to buy uniform and who cannot attend the sales due to work may also make an appointment outside sale hours or during the holidays. This is often easier if large quantities of uniform are required for new pupils or more than one child. Contact the office to make an appointment. Payment may be made by cash or cheque payable to ‘Mayville High School’. 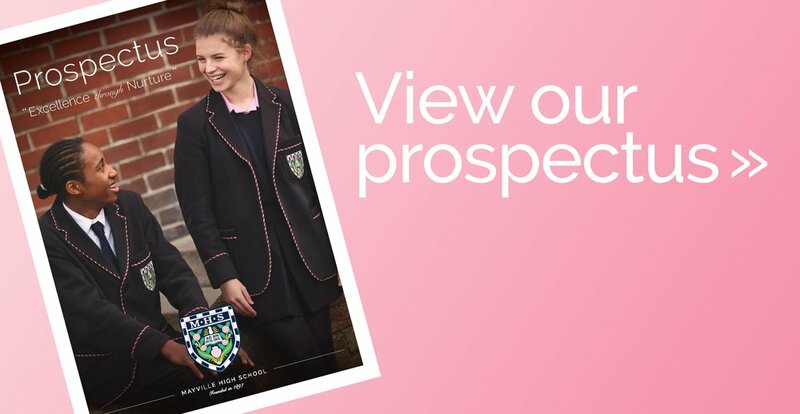 Uniform for the sale can be brought into the office or Junior School at any time. It must be clean and in good condition, and folded or placed on hangers. Items which are easily obtainable cheaply outside school, such as boys’ white shirts, should not be brought in unless in excellent condition, as they are unlikely to sell. Please do not send in uniform in black refuse sacks as it is easily confused with genuine refuse and may be thrown out! If sending in a number of items please label each individually but also send in a list, keeping a copy for yourself. As large stocks of uniform are now held it may be some time before items are sold. A record is kept of all sales, and payments (minus 25%, which goes to PTA funds for the benefit of the school) are made once a term by cheque or cash, depending on the amount due. Your labels will also be returned to you. Gift Aid and the Uniform Sale — let the Taxman contribute to school funds! If you are donating your item of uniform to be sold in aid of the school, or asking a price of £10 or over, please consider completing a Gift Aid Form, available from the office or at the uniform sales. This enables the school to claim a further 28p from HM Revenue for every pound raised — it doesn’t seem much, but it stacks up pretty quickly, and at no extra cost to you (you do have to be a UK taxpayer to participate, however). Mayville High School is in partnership with Stamptastic, a new fast way of naming all your belongings! A personalised stamp usable on fabric, metal, wood, and some plastics. No more sewing or ironing on labels. No more losing your pencil case or PE kit. Now you can just stamp everything! Transparent block for accurate, easy positioning. And free P&P within the UK. Visit stamptastic.co.uk and enter 'PO5 2PE' when you order to earn a contribution to the PTA.